Oh lookey, an article about ourselves! When I launched StreamerSquare over four and a half years ago, I set out to gather every bit of information I could about streaming and create a central location to make it easy for streamers to learn and grow. I’ve run the site on my own, with my own money, trying to build this into what I believed could be the best resource site for new and veteran streamers alike. It’s time to ramp up what StreamerSquare can do for streamers. I’m bringing in TheHunterWild as co-owner of StreamerSquare, and HBFox as Content Manager to help elevate our services. We are also launching a Patreon page, our first real initiative towards funding what we currently do and to help bring more of our ideas to life to further help streamers. StreamerSquare costs money to run. At some point, we needed to monetize to continue providing regular streaming news, weekly talk shows, and new guides (all completely free). We don’t want to reduce or paygate the type of content we are already providing for free, and we don’t want to plaster ads everywhere. We believe a Patreon is a great method for us to provide transparency about our needs and goals while offering up some really unique incentives for supporting what we do. One type of reward we are offering for those supporting us on Patreon is private coaching. This has been something that has been requested for some time and we’re really excited to work more closely with streamers. We are extremely eager to develop more content and new services for streamers. We’re keeping most of our plans under wraps for now, but you can always view our upcoming goals on our Patreon page. 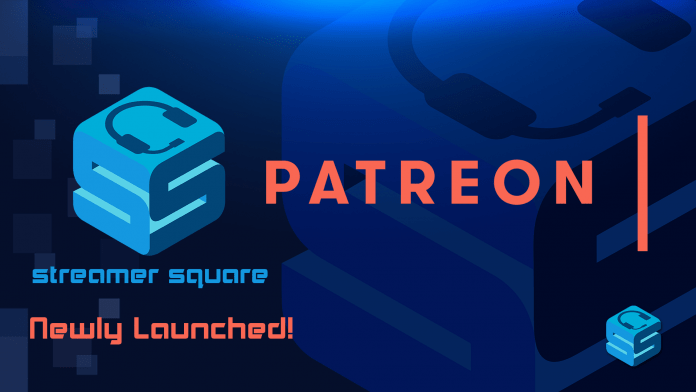 If you feel like what we do here has been of any value to you, consider throwing us a buck a month so we can keep growing StreamerSquare. I'm a full time streamer and owner of StreamerSquare! You can find me on Twitter and Twitch.